Companion piece to the Deco Peacock Necklace. Full color graph with symbols and a Word Chart. 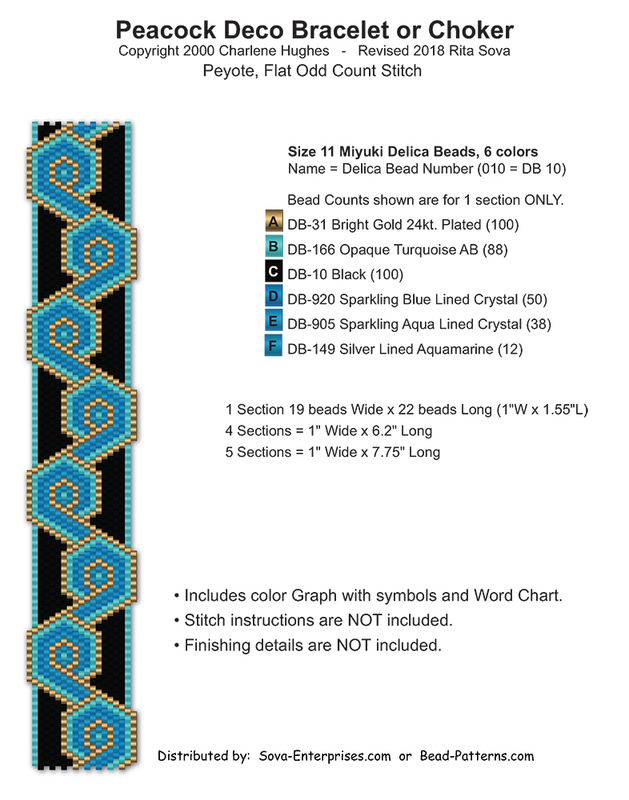 Includes size 11 Delica bead color numbers & quantities.